Get started with our sample questions below! A 51-year-old woman who has been in a road traffic accident presents with multiple injuries. She has a urine output of 350 mL over the previous 24 hours. Her serum creatinine level has increased from 4.2 mg/dL to 4.8 mg/dL over the same period. 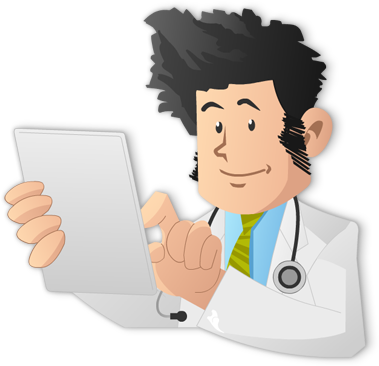 What drug can be used to convert this patient’s oliguric renal failure to the non-oliguric type, and to facilitate further management? Loop diuretic drugs produce diuresis in patients with an acute renal failure (ARF), congestive heart failure, and acute pulmonary edema . Loop agents can increase the rate of urine flow and enhance potassium excretion in cases of acute renal failure. They are used to convert oliguric renal failure to non-oliguric renal failure, and to facilitate fluid and electrolyte management. They do not, however, shorten the duration of renal failure or reduce mortality. Potassium sparing diuretic drugs are mild efficacy drugs with a relatively weak diuretic action; they are often used in combination with loop diuretics or thiazides in patients with congestive heart failure. Thiazide diuretics are used to treat hypertension, congestive cardiac failure, and edema. Carbonic anhydrase inhibitors produce a mild diuretic effect; they are used to treat glaucoma. Osmotic diuretics may be used to reduce intracranial pressure in cerebral edema. You can can now retain key concepts easily using our built-in Flashcards and Mnemonics. A 45-year-old man presents with a 3-day history of fever (T max-103.5°F), chills, anorexia, diarrhea, and a non-productive cough. On general examination, vitals are as follows: Pulse- 98/min, RR- 24/min, BP-120/60mm Hg, and T- 103.5 °F. There are coarse basal crepitations and scattered rhonchi on examination of the lungs. Other systems exam are normal. Chest X-ray (CXR) shows patchy alveolar infiltrates with consolidation in the lower lobe. Complete blood count reveals leukocytosis; sputum Gram stain reveals only a few polymorphonuclear (PMN) leukocytes and no predominant pathogens. Legionnaire's disease is caused by Gram-negative, non-acid-fast bacilli that present as an atypical pneumonia with high fever, pleuritic chest pain, non- productive cough, and dyspnea. Associated systemic symptoms include diarrhea, confusion, and renal dysfunction. A mild leukocytosis is generally present. Sputum production is scant and fails to reveal pathogens. CXR often shows patchy alveolar infiltrates with consolidation in the lower lobe; pleural effusion is seen in 50% of the patients. Serology by urine antigen testing is highly sensitive and specific for the diagnosis of Legionnaire's disease. Treatment includes administration of oxygen, antipyretics, and antibiotic therapy with erythromycin with or without rifampin, co-trimoxazole, tetracycline, doxycycline, or ciprofloxacin used alone or in combination (depending on the severity of the disease). Tuberculosis may present either as a primary infection with fever, productive cough, and pleurisy, or as post-primary infection with constitutional symptoms of anorexia, weight loss, and night sweats along with productive cough and hemoptysis. Typical features of the chest X-ray are unilateral middle or lower lobe infiltrate and cavitation. Sputum staining shows acid-fast bacilli. Klebsiella pneumonia typically produces illness in debilitated patients, especially alcoholics, presenting as hemoptysis, dense lobar consolidations, and a high incidence of abscess formation. Sputum Gram stains show large Gram-negative bacilli and abundant PMN leucocytes. Cryptococcal pneumonia is often seen in the setting of immunodeficiency. Typical CXR is that of diffuse bilateral interstitial infiltrates. The diagnosis can be confirmed with sputum test for cryptococcal antigen (CRAG) and culture. Haemophilus influenza is the one of the most common causes of bacterial pneumonia, more common in children than adults. Haemophilus pneumonia may be multilobar; there may be areas of pathy bronchopneumonia or frank consolidation. Effusions may be present and occasionally progress to empyema. Gram stain of sputum may reveal coccobacilli, though they may stain poorly. A 37-year-old woman presents with a persistent flu-like illness, malaise, anorexia, nausea, and vomiting. The patient is a non-smoker; she drinks alcohol moderately, and she has no remarkable travel history. She admits to using parenteral drugs during her college life. Examination shows icteric sclerae, splenomegaly, right upper quadrant tenderness, and dark urine. What has the highest risk of chronic infection in adults? Hepatitis C is a viral infection caused by an enveloped RNA virus belonging to the flaviviridae family. It is transmitted parenterally by sharing needles during parenteral drug use as well as from mother to child. The medical staff is also at risk of infection and sexual transmission can also occur. Other groups at risk of infection are those undergoing hemodialysis and recipients of organ transplant before 1992. Blood, blood products, and organ donors have been screened for hepatitis C since 1992 and the risk has been minimized in recipients now. Acute hepatitis C is asymptomatic in 60 - 70% of patients. Chronic infection develops in 55 - 85% of patients, chronic liver disease in 70% of patients, and cirrhosis in 5 - 20% of patients. Combination therapy with pegylated interferon and ribavirin is the treatment of choice resulting in sustained response rates of 40 - 80%. Hepatitis C is the leading indication for liver transplant in the US. Hepatitis A is transmitted by the feco-oral route and it has no chronic form. Once infected, it provides immunity for life. A vaccine is also available for travelers to endemic areas and other susceptible groups. Hepatitis B is also transmitted parenterally and sexually. The risk of chronic infection varies with age; for those over 5 years of age, it is about 2 - 6%. Infants have a risk of chronic infection of 90%, and between 1 - 5 years it is about 30%. Hepatitis D occurs as a co-infection or superinfection in patients infected with hepatitis B. It cannot infect a person by itself because it requires the envelope protein of hepatitis B. Chronic HBV carriers who acquire HDV superinfection usually develop chronic HDV infection. Hepatitis E is transmitted feco-orally, and the most common source is contaminated water. The acute hepatitis is most severe in pregnancy, especially the 3rd trimester. It has no chronic form. Hepatitis A and E are rare in the US. A 42-year-old woman works full-time as a data entry clerk and often puts in many hours of overtime. She has started to notice numbness and tingling in her right thumb, index finger, middle finger, and half of her ring finger; symptoms are especially severe at night The numbness and tingling were intermittent for months, but they have become persistent during the past few days. What could be considered a predisposing factor for this patient's condition? Myxedema is one of the metabolic predisposing causes for carpal tunnel syndrome. The patient's clinical presentation is suggestive of carpal tunnel syndrome. Carpal tunnel syndrome is a median nerve compressive neuropathy. Patients with myxedema or hypothyroidism have accumulation of myxedemateous tissue under the transverse carpal ligament, which causes compression of the median nerve in the carpal tunnel resulting in the manifestations of carpal tunnel syndrome. In carpal tunnel syndrome the median nerve is compressed in the wrist. The neurological distribution of her complaints corresponds to the distribution of the median nerve. The median nerve innervates the palmar surface of the thumb, index, middle, and radial half of the ring fingers and the motor branch innervates the thenar muscles. Electromyography and nerve conduction studies help in confirming the diagnosis of carpal tunnel syndrome. Patients can be managed with analgesics for pain, corticosteroids which can be administered orally or as local injection, and splint to prevent wrist flexion and further compression of the carpal tunnel. The other metabolic causes of carpal tunnel syndrome include acromegaly, diabetes mellitus, and amyloidosis. None of the other choices listed, which include hypoadrenalism, hypoprolactinemia, hypoglycemia, and Cushing syndrome, are associated with an increase in the occurrence of carpal tunnel syndrome. A 48-year-old Caucasian woman with a chronic history of inability to tolerate oral intake is admitted to the hospital for J-tube placement. The patient also complains of a rash that she has developed on her upper extremities. Examination reveals a ring of hemorrhage around hair follicles in the upper extremities. 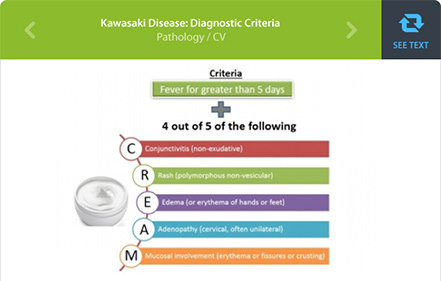 What is the most likely etiology of the rash? The correct answer choice is ascorbic acid deficiency. This patient has scurvy due to ascorbic acid or Vitamin C deficiency. Patients with scurvy typically report a history of a poor diet (tea and toast), or in this case, malnutrition secondary to a chronic inability to tolerate oral intake of foods. Patients with scurvy also present with skin ecchymosis and the characteristic perifollicular hemmorhage. Note that lysyl oxidase, an important enzyme involved in cross- linking collagen, utilizes Vitamin C.
Niacin deficiency usually presents as the 3 D's: diarrhea, dermatitis, and dementia. Patients on corn diets or those with an inability to reabsorb tryptophan (Hartnup disease) present with this condition. Cobalamin deficiency presents with megaloblastic anemia. Patients may also present with neurologic disease (subacute combined degeneration). Biotin deficiency presents with dermatitis, alopecia, and lactic acidosis. Riboflavin deficiency presents with cheilosis, angular stomatitis, and glossitis. Our collection of questions is crafted to help you reinforce key concepts addressed by PANCE / PANRE. 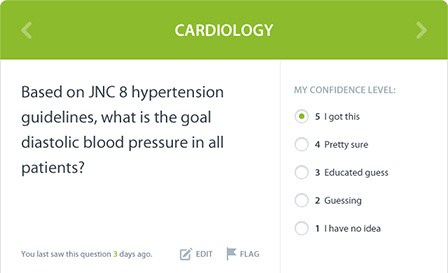 Similar to the exam, you’ll have the opportunity to practice a mix of clinical vignettes as well as other general multiple choice questions. Each PANCE / PANRE practice question includes flashcards containing bite-sized information that helps you reinforce the key concepts you need to master topics. Want to practice with just flashcards? Sign up for our standalone flashcards module. Learn better with mnemonic aids? Our PANCE / PANRE questions list relevant mnemonics that will help you understand key concepts in a memorable way. 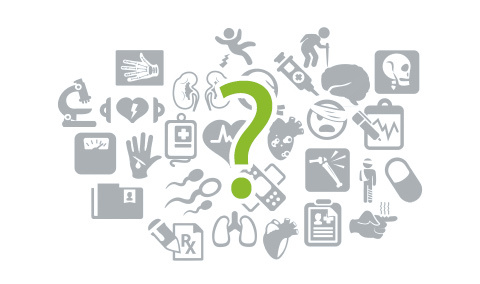 Our PANCE / PANRE question bank is organized into medical and diagnostic categories so you can easily filter for questions you are looking for. 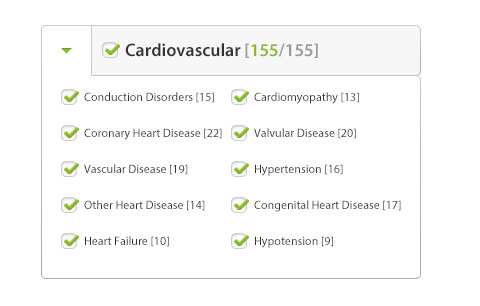 Sign up today and start practicing questions across 13 medical exam categories and over 100 diagnostic exam categories. Keep a tab on your vitals with our interactive dashboard. 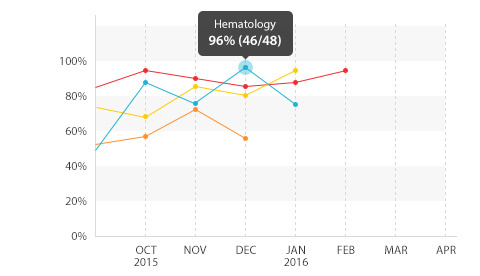 Featuring multiple views, it displays your performance metrics across PANCE / PANRE categories over time. You can quickly and easily track your performance in each category. In addition, you can see how well you stack up against your peers! 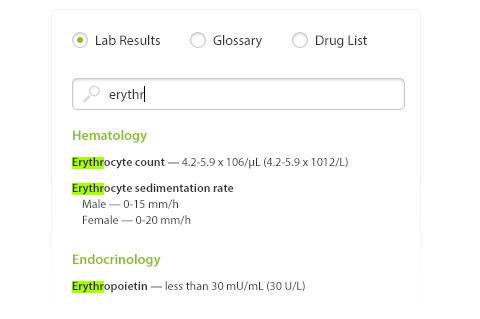 Our PANCE / PANRE platform contains a searchable reference list of lab results, glossary terms, and generic drugs. Suddenly recall a hypertension-related question you want to review? Knowmedge's quick keyword and filter search features give you immediate results - saving you unnecessary time looking through all the questions. Make our questions your own by adding notes, highlights, and flags.